Today's #SPedition is about Gareth Bale! Bale began his career in the Championship in 2006 at Southampton, but it was not until the next season that he managed to clinch the starting position in the squad. 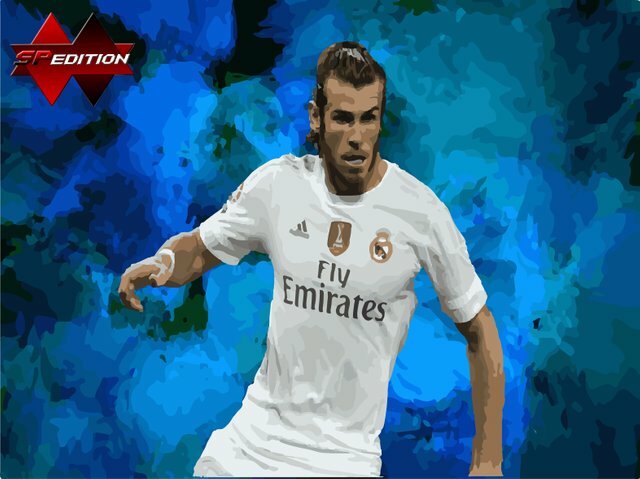 in 2007 Bale signed by Tottenham Hotspur, had a regular start in the team, did not stand out much, in the 2010/2011 season he began to demonstrate his skills scoring goals and giving assists, the big clubs of Europe became interested in him, in 2013 he had a goal tally of 21 goals at the end of the season, being named the best player in the Premier League. El #SPedition de hoy es de Gareth Bale! Bale Comenzó su carrera en la Championship en 2006 en el Southampton, pero no fue en la temporada siguiente que logro afianzarse al puesto de titular en la plantilla. en 2007 Bale firma por el Tottenham Hotspur, tuvo un comienzo regular en el equipo, no destaco mucho, en la temporada 2010/2011 comenzó a demostrar sus habilidades marcando goles y dando asistencias, los grandes clubes de Europa se empezaron a interesar por el, en 2013 tuvo una cifra goleadora de 21 goles al final de temporada siendo nombrado mejor jugador de la Premier League.